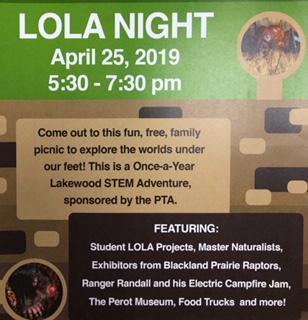 LOLA Night is April 25 at 5:30- 7:30! "Down to Earth" Don't miss the fun. For more info click here!